Experience the irresistible aroma of sweet red strawberries combined with luxurious creamy vanilla. This decadent berry blend not only gives you tasty vapour, it is also specially formulated by Element with a higher concentration of Vegetable Glycerin and less nicotine to give you the pure, dense clouds that you just can’t get with other e-liquids! All ingredients are also sourced from the biggest and most trustworthy names in pharmaceuticals, ensuring both purity and quality. The nicotine that Element use in their e liquids is extracted directly from natural tobacco leaves, to ensure you never have to experience that artificial taste you can get with many other brands. 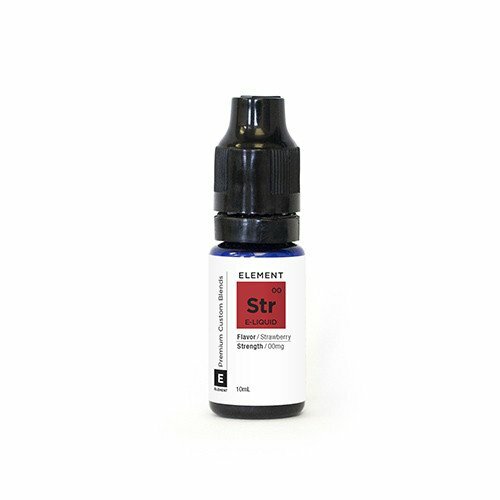 Element also pre-steep their e-liquids before they are shipped out to you, so that you can vape as soon as they arrive.